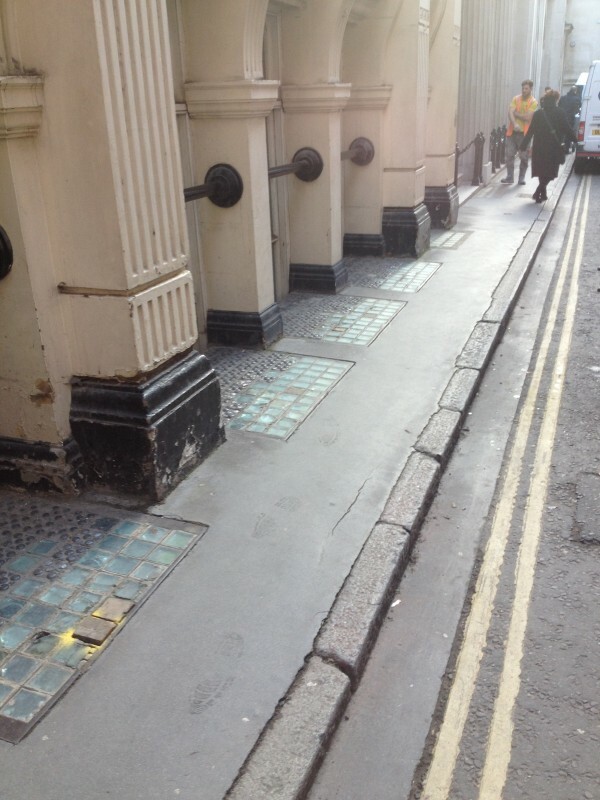 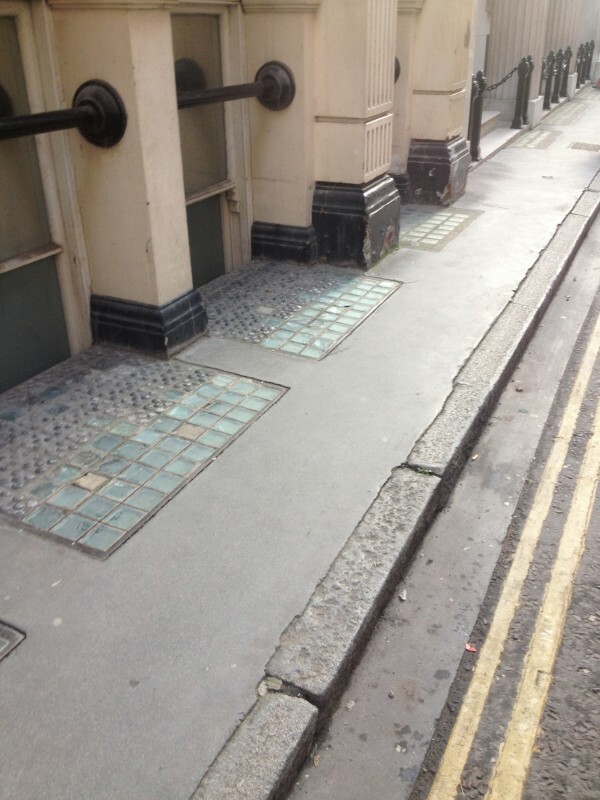 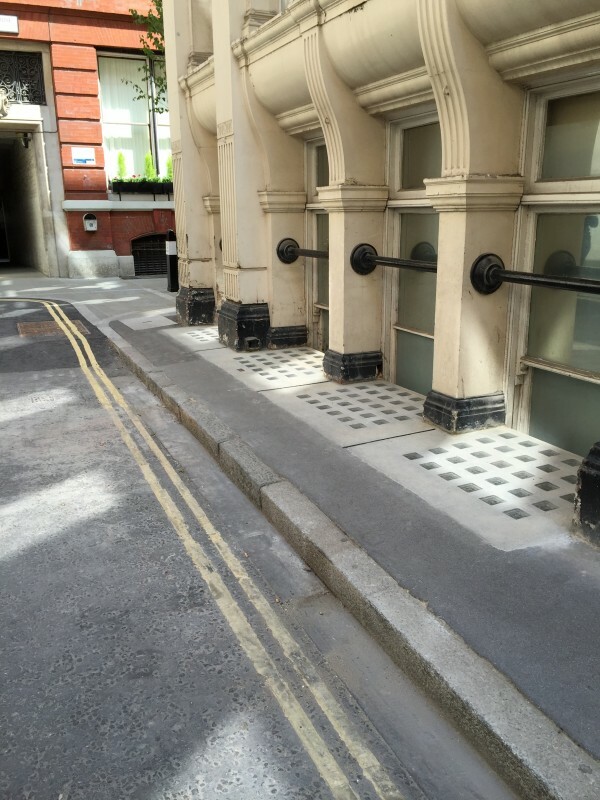 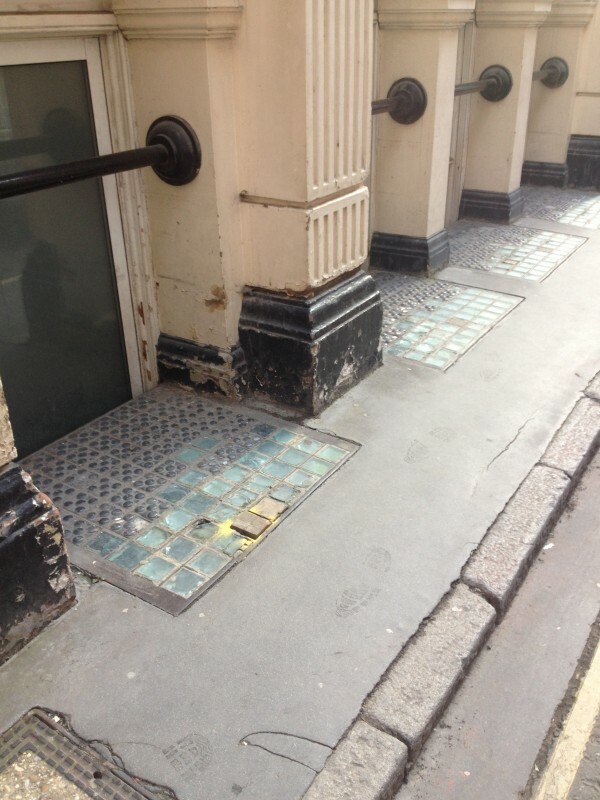 Luxcrete Limited were instructed to replace the old original cast iron Pavement Lights. 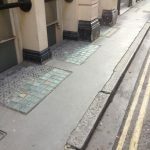 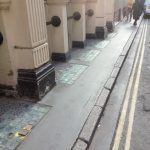 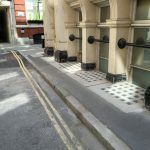 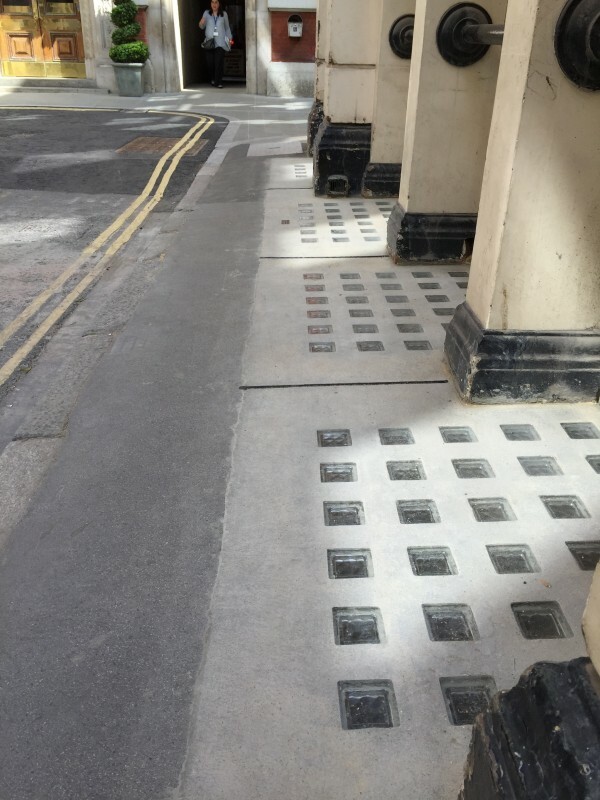 These cast iron Pavement Lights were in a poor condition with numerous broken/damaged glass lenses and the frames worn smooth, they had become unsightly as well as losing their structural integrity. 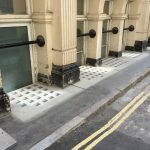 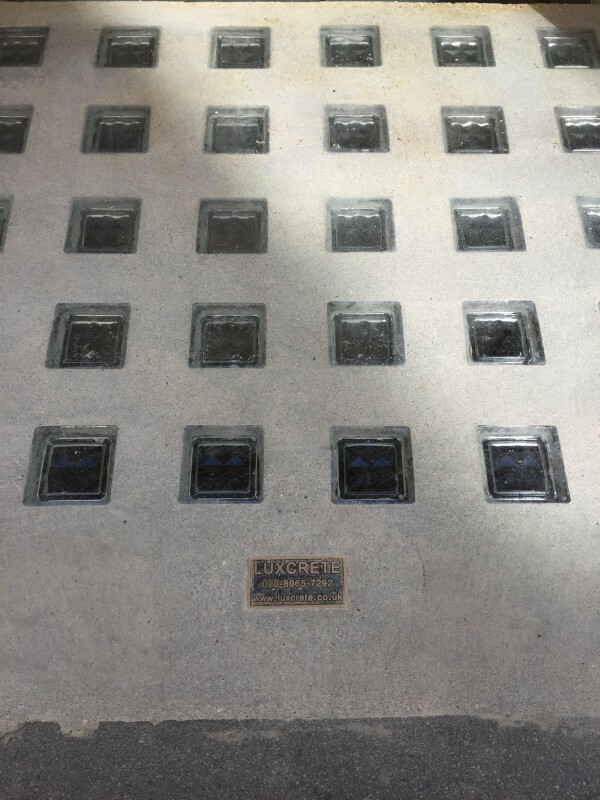 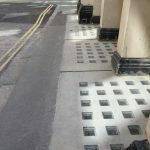 Luxcrete removed the existing cast iron Pavement Lights and cut back the bearings before setting up the formwork within the structural opening and then casting in situ our Pavement Lights construction type P.150/100. 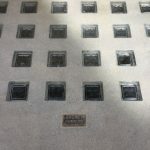 This construction contains 100 x 100mm glass lenses set into reinforced concrete ribs which are spaced at 150mm centres with an overall panel thickness of 100mm. 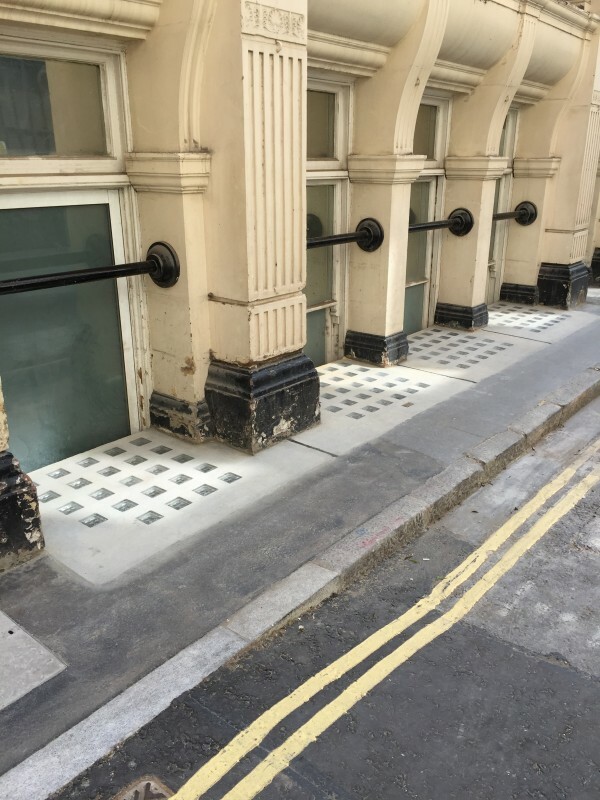 This installation has greatly improved the appearance of the property whilst maintaining light levels to the basement areas.